Our pal Jeff Shanks did a bang-up job designing the banner shown here. The handsome dude on the left needs no introduction and the even handsomer Frenchman on the right is our Guest of Honor this year: Msr. Patrice Louinet. We're very happy to have Patrice as GOH this year - believe me, we've been trying for quite a while. I've bribed him...well, *enticed* him with the promise of Chicago deep dish pizza many times, to no avail. But THIS YEAR we got lucky! Now I've got to get Lou Malnotti's to deliver to Cross Plains! Mr. Louinet’s name is easily recognized by Howard fans everywhere as being one of the premier scholars in Robert E. Howard studies. From his first “real” essay in The Dark Man #4 to his editing, essay and preparation work on Wandering Star’s The Ultimate Triumph, The Coming of Conan and The Bloody Crown of Conan, along with Del Rey’s The Conquering Sword of Conan and volumes for the REH Foundation Press, Patrice has been a major factor in the revival of not only Howard’s work but of the ongoing REH scholarship. Patrice also mentions that he is working as the main adviser for a new Conan board game to be released sometime in the future. 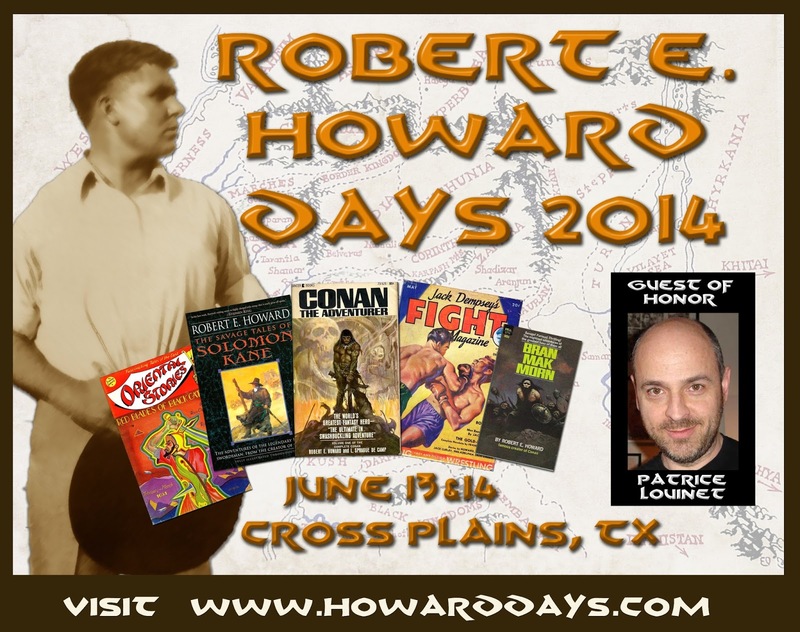 Robert E. Howard Days 2014 is shaping up to be a really good one, so start making your plans to join us in Cross Plains June 13th & 14th for two days of the very best time in Howard Fandom. 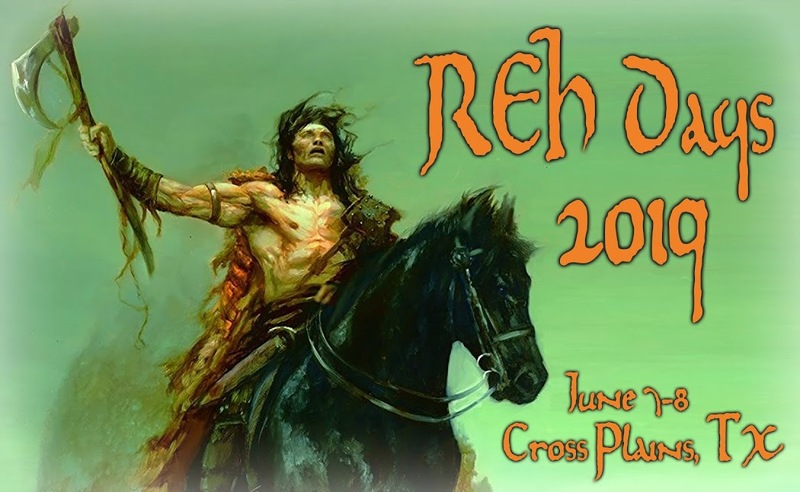 Check back here periodically and also look to the Robert E. Howard Facebook page, along with www.rehfoundation.org, www.rehtwogunraconteur.com, www.conan.com, and others.